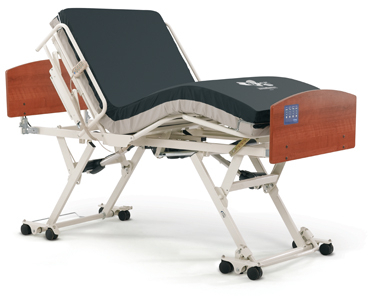 The CS3 was developed for those who require a bed that is stable throughout the travel range and mobile in the low position. · Tool-less assembly fast connect system allows for faster setup and easier alterations. · Mobility-On-Demand. The CS3 features the Maxi-Lock floor lock system, securing the bed to the floor in all elevated positions. Mobility is enabled in the low position. · Exclusive arched slat deck design allows for improved infection control and reduces wear and tear on mattresses. 36". Also available in 39" or 42".